Results of this year’s National Student Survey (NSS) published today (Wednesday 12th August) show an overall increase in satisfaction levels of students at the University of Southampton. The NSS shows that satisfaction amongst Southampton’s students with the overall quality of their undergraduate courses rose from 86 per cent last year to 88 per cent this year. This places the University tenth out of the UK’s 24 Russell Group universities for overall satisfaction, up four places from the previous year. The university increased its satisfaction levels in 17 of the 23 core questions asked in the survey, which look at all areas of the student experience, from Academic Support to the Students’ Union. Southampton students particularly rated their Learning Resources highly at 92 per cent, putting Southampton fourth in the Russell Group for this area. The University also ranked fourth in the Group for its support for students’ Personal Development, with an 85 per cent approval rating. In terms of individual subjects, 30 of the University’s academic units scored above the national average in overall quality. A total of 21 units showed an increase from last year with Media Studies (incorporating Film Studies) and Molecular Biology, Biophysics and Biochemistry achieving 100 per cent approval. 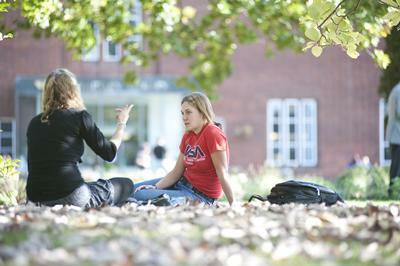 Within individual subject rankings, Southampton tops the Russell Group in a number of areas, ranking with the highest overall satisfaction in Civil Engineering; Design Studies; Media Studies; Molecular Biology, Biophysics and Biochemistry; European Languages and Area Studies and Physics and Astronomy. A further nine subjects feature in the Group’s top three for overall satisfaction and a further six feature in the Group’s top five. The University’s Pro Vice-Chancellor Education, Professor Alex Neill says: “These strong results indicate that we have listened to our students’ feedback and put actions in place to ensure we are delivering the knowledge and skills they need to be successful in their future careers. “We’re delighted that our students have recognised this in their responses to the National Student Survey, and we look forward to continuing to work with them to provide an excellent and supportive student development environment at Southampton. “We’re also delighted to see that we compare favourably with our peers in the Russell Group of universities; we take this as a further indication of the quality of the experience that we provide for our students at Southampton,” Professor Neill continued.